My oldest two children are currently obsessed with J.K. Rowling's Harry Potter series. My oldest daughter has finished reading the entire series and my oldest son is currently on book three, Harry Potter and the Prisoner of Azkaban. I am reading one chapter to him each night after all the other kids are in bed. J.K. Rowling is the second highest best-selling author in the world since 2001 and she tops the list of best-selling authors in the UK. (The Telegraph). My youngest two children are currently obsessed with books by another author who is on list of best-selling authors in the UK since 2001. Roger Hargreaves ranks fifth on the list due to the continued success of his Mr. Men and Little Miss series which began back in the early 1970s. I have to thank my two-year-old daughter for bringing these books into our house. We were at our local library when she found the tiny little books, on the bottom self, right within her reach. She was following behind me as I looked for books written and illustrated by Oliver Jeffers (birthday coming tomorrow, May 10). She called to me as she held up a few of the Mr. Men books, "This one." I went over and we placed the books in our bag. I had to talk her down from taking every book on the shelf, but we still went home with almost twenty of the books from the series. As I drove home, I recalled seeing Roger Hargreaves' birthday in my author birthday planning calendar. I thought, "I think it is this month." I was so excited when we returned home to see that my memory served me right! Roger Hargreaves is the creator of the Mr. Men and Little Miss series which feature over 80 characters named after their unique traits including Mr. Clever, Mr. Lazy, and Little Miss Stubborn. He also wrote and illustrated Timbuctoo, a series which features over twenty different animals named after their sound like Hiss (a snake) and Oink (a pig). 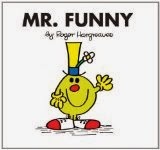 The Mr. Men and Little Miss series was by far the more successful of the two series by selling over 100 million copies! The Mr. Men series began when Roger Hargreaves' son, Adam, was eight years old and asked what a tickle looked like. Like any good dad, Roger drew a picture for his son of an orange character with really long wiggly arms. This character became Mr. Tickle who was featured in a book after Roger got a little help from a friend in the publishing business. (Sussex Life). Next, Hargreaves invented the characters Mr. Bump, Mr. Happy, Mr. Sneeze, Mr. Nosey, and Mr. Greedy. These books saw immediate success selling over one million copies in just three years. The Little Miss series came later in the 1980s with popular characters like Little Miss Sunshine and Little Miss Naughty. Roger Hargreaves died at the age of 53 from a stroke. His son Adam continued the series with many new characters including two books that were perfect for our family, Mr. Birthday and Little Miss Birthday! Adam said in an interview with Sussex Life, "He (Roger) often drew the smile in last because he loved to come down in the morning and fill it in. He said it was the smile that brought his characters alive." 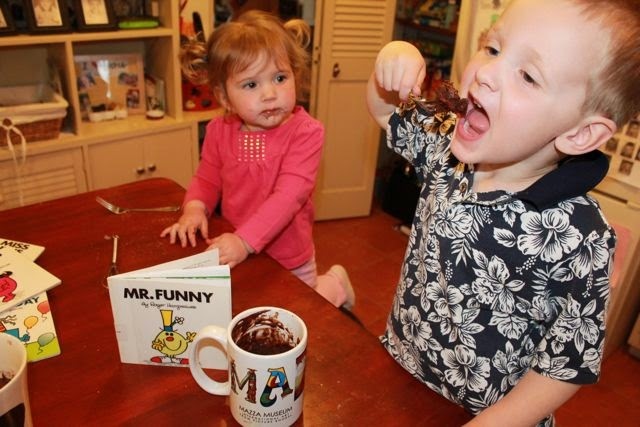 My two youngest children and I were reading though the Mr. Men and Little Miss books we checked out from the library. My son got a kick out of Mr. Funny. He lives in a teapot, drives a shoe car, and is so funny that he can cheer up the grumpy animals at the zoo with his funny faces. He also eats some funny things for lunch; a daisy sandwich and a glass of toast! The book ends with Mr. 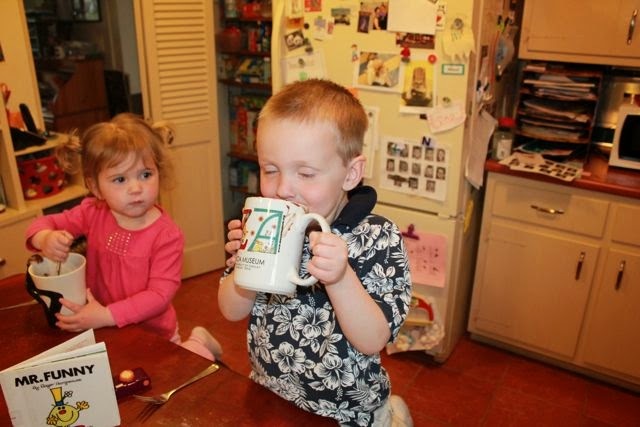 Funny being thirsty after his day at the zoo and he makes himself a hot cup of CAKE! After some research, we tried this recipe with success! 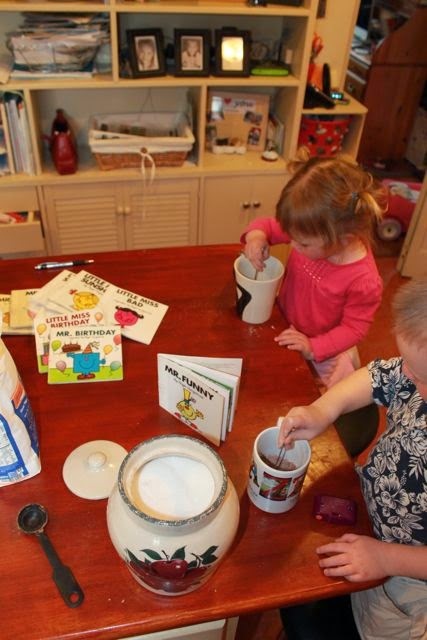 Mix together dry ingredients (flour, sugar, cocoa powder, baking powder, salt) in a large mug. Add wet ingredients (milk, oil, vanilla). Mix together well. Microwave for 80-90 seconds. (Each microwave will be different. Cook until you achieve cake consistency.) LET COOL, it will be very hot! 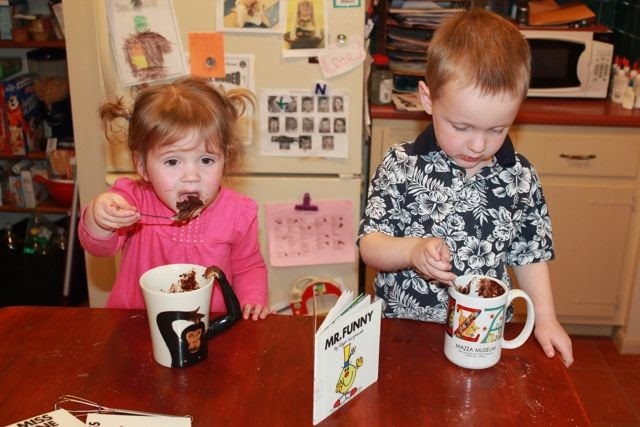 My two little ones mixed the dry ingredients the mug. Then, they mixed in the milk, oil and vanilla. I have my own MR. 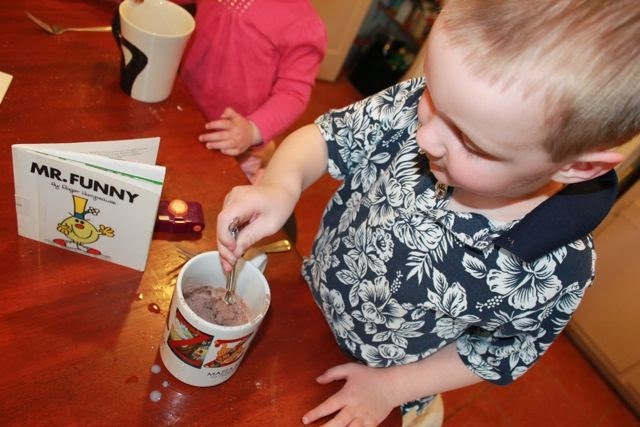 FUNNY as he pretended to drink his cake batter! 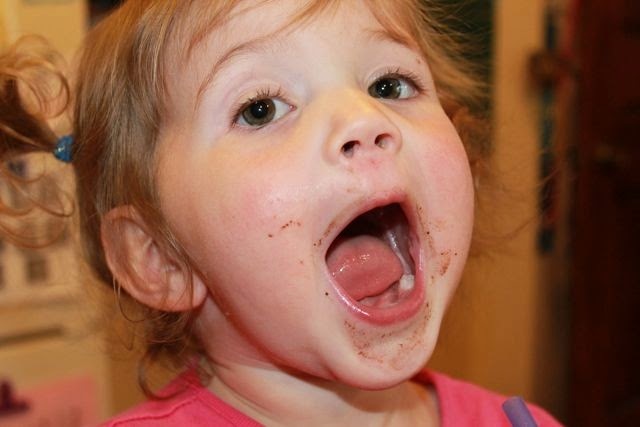 His sister looked on as he tried his first bite of cake after baking the batter in the microwave. 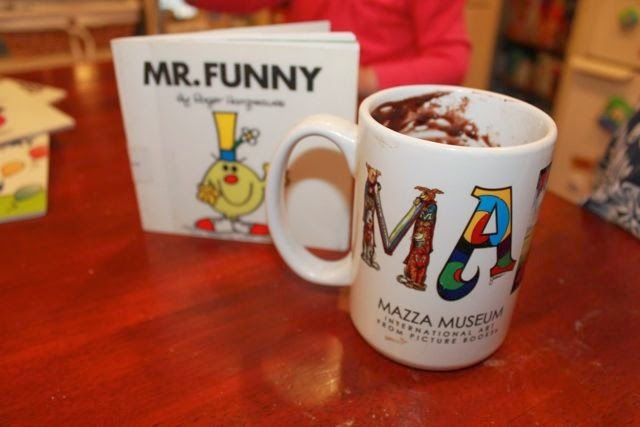 This cake tasted even better in our Mazza Museum mug! This was quick and fun afternoon treat! 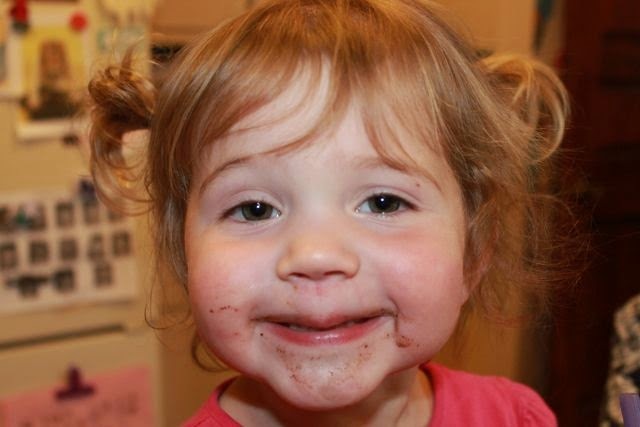 maybe it's Little Miss Cute! Search YouTube for your favorite Mr. Men video and I am sure you will find it!